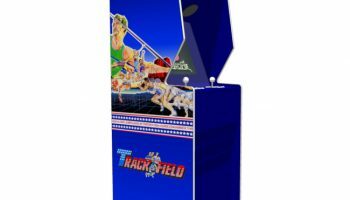 This stunning looking Track And Field Arcade Game machine is based on the classic game from the 80’s. 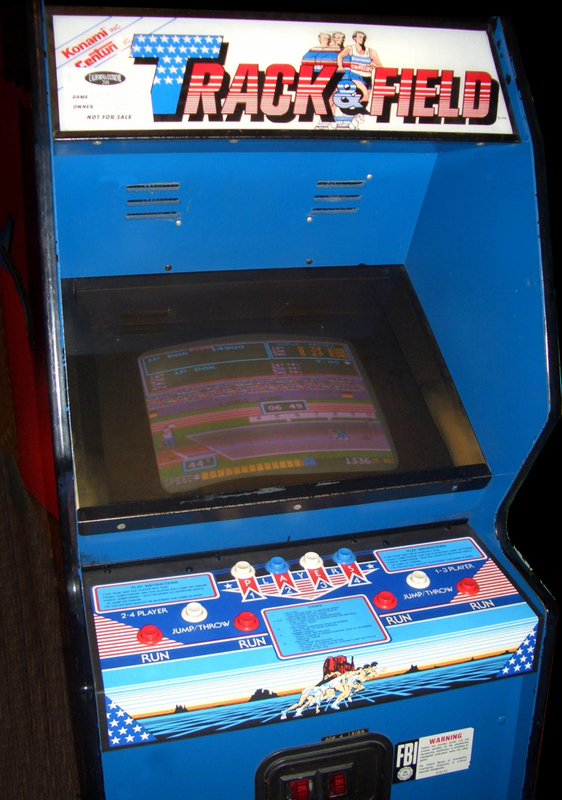 Go back to the heyday of arcade games and relive these happy times playing all your favorite 80’s and 90’s games. 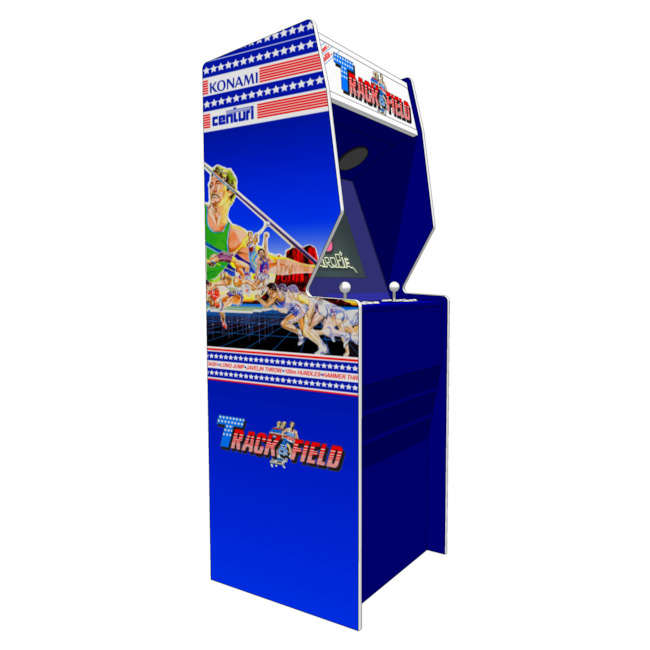 Track And Field Arcade Game was developed as a Olympic themed sports arcade game for the 1984 summer games. 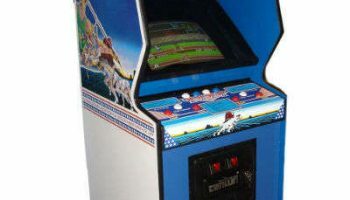 The game is very easy to learn and play. 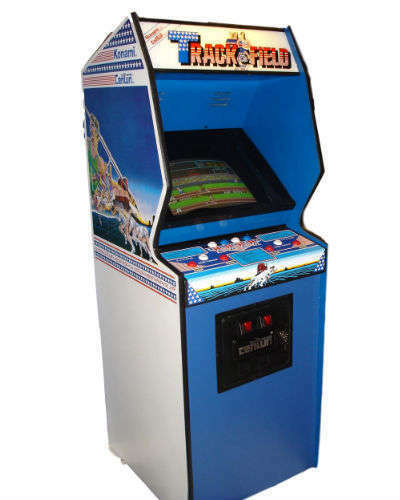 There are only 3 buttons to use and can be played with 1 to 4 players. 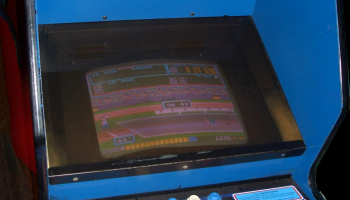 There are 2 red buttons to use to run and one white button to use to either throw or jump. Players bash the 2 red buttons as fast as possible to build up speed the use the white button to either throw or jump. There are 6 events that 1-4 players compete in and try there best to qualify to the next round. 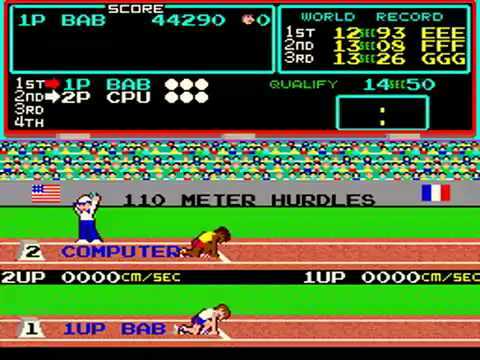 100m Dash – Run as fast as possible. Long Jump – Run then choose angle of jump 45 is optimal. Javelin – Run then choose angle of throw 42-ish is optimal. 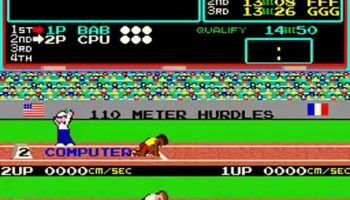 110m Hurdles – Run and time jump over hurdles. Hammer Throw – Man spins faster and faster time release of hammer and angle of throw 45 is optimal. High Jump – Man runs to bar. Use Action button to start jump and keep pressing to reduce angle of climb i.e. you start going straight up at 90 degrees if you tap the button once. Use run buttons in air to climb higher.